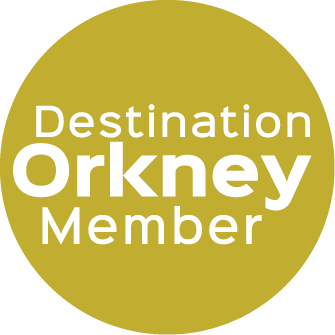 Ideally located in the center of Kirkwall, we offer comfortable family friendly accommodation within walking distance of Kirkwall's historical sites, shopping and sporting facilities. With off-street parking and a garden for you to enjoy, 12 Clay Loan is a great base for you to explore the islands. Our 3 bedrooms, can house 5 people however we also provide an extra pull out bed and cot. Downstairs, we have a single ensuite, with our twin (bunk beds) and double rooms upstairs. In our cosy living room you can enjoy local music, TV and free unlimited wifi. However, if you prefer traditional media, we also have a well-stocked bookshelf with information on local history, attractions and wildlife. Our fully equipped kitchen/dining room offers space to prepare and sample Orkneys delicious produce or if you're blessed with good weather outside dining is also available. Our garden offers a sitting area to wind down at the end down at the end of the day with a cup of tea or wine (you are on holiday!) with a swing set and slide to keep the children entertained. All rentals include electricity, heating, linen and towels. May - September lets are Saturday to Saturday. Outwith high season shorter lets are available. Please note: pets are not allowed and smoking is not permitted within the house.